I’ve expressed my doubts about third-party toys in the form of licensed characters, but I have far fewer qualms about third-party add-ons. There are some really cool third party projects going on for MOTUC right now, such as Kevin Kosse’s Horde Trooper helmets or the upcoming conversion kits by Mat Vige O’Toole, a.k.a. Zombihamma (who’s also a special effects make-up, prosthetics and storyboard artist with a pretty badass resume) – plus of course Joe Amaro‘s great stuff. Of course, it took a few years for any sort of third party add-ons to appear. But what about newer lines? Where is the emergent third-party add-on market for Star Wars Black 6″? Let’s skip the 2-3 year delay and get going on that now. My first suggestion is a 1/12th scale cantina environment for Han and Greedo to have their shootout (so that I can have Han shoot first again and again and again and again. Yes, I’m still bitter). 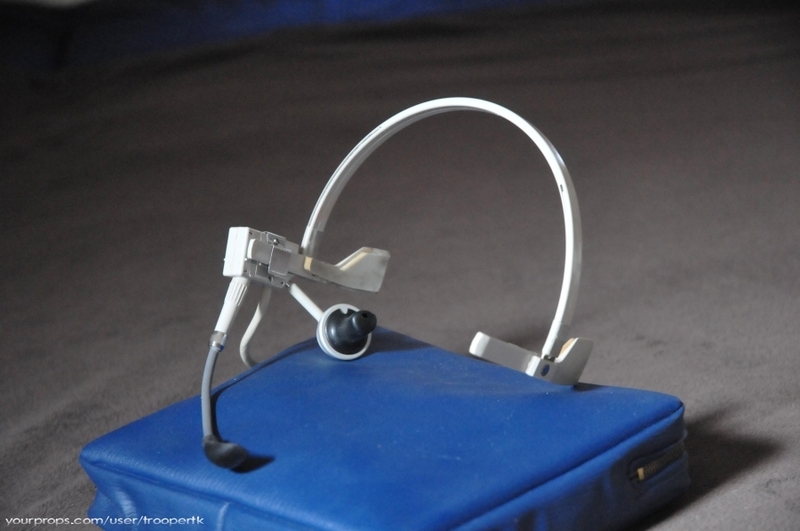 The flying gloves that were included with Han Solo were great, but they’re incomplete without a headset for Han. Nemo Eight thinks a set that just goes over the regular Han head would look bad, and that it should be a separately-sculpted head with the headset sculpted on. Personally I think a separate headset could work; the one that came with McFarlane’s Scott Evil didn’t look too bad. The Sandtrooper desperately needs an alternate left hand with a rounded, more open grip so that he can hold the barrel of the light repeating blaster properly. While we’re at it, why not some electrobinoculars for the Sandtrooper as well? The pair that came with Darth Maul are different and can’t be substituted. 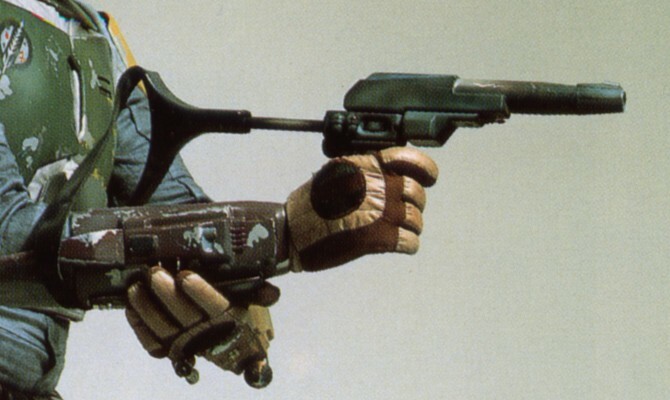 And finally, I’d love to see Boba Fett’s concussion grenade launcher (which doesn’t look much like a grenade launcher obviously, but I digress). Of everything on this list, I’d say this is the one most likely to be made by Hasbro – they made one for the 300th-edition 3.75″ Fett in 2000, even though the character never actually carried the gun in a movie (only in pre-production photos). 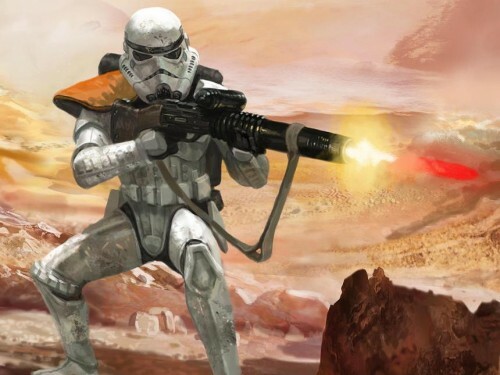 Hasbro has already shown they will include weapons with figures that never actually used them (such as the Stormtrooper’s DLT-20A), so they could include the grenade launcher with a future ROTJ-style Fett, which I think is nearly a lock for the line. I'd love an in-scale Millenium Falcon cockpit for Han & (the eventual) Chewie. Lights and sounds would be a bonus, but probably pushing it. Instead, how about a removable back piece which would allow you to display the piece backwards with the figures staring out the windows at a hyper speed backdrop. I love the idea of the Millenium Falcon cockpit, It'd be a fun way to display the figures as they come out with the addition of Chewy, 3PO, Old Ben, Leia, and farmboy Luke. I think that's more realistic than expecting a full-size, in-scale Millenium Falcon. I don't think it'll ever happen, plus it'd cost an arm and a leg! 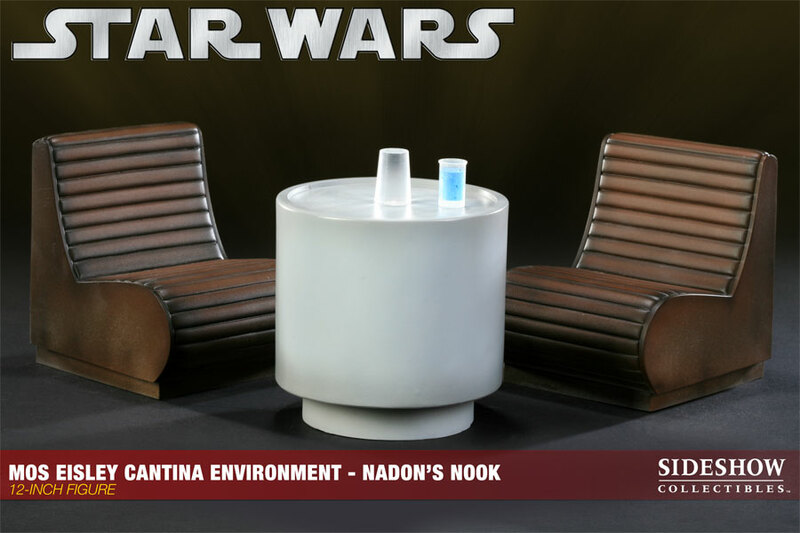 Cantina table & chairs would be tops for me. Han doesn’t shoot 1st, he’s the only one to shoot! Yeah, I think the cantina table and chairs would be a great addition. As the cost of 3-D printers become cheaper, this may work out to be a vision of the not so distant future! And finally, I’d love to see Boba Fett’s concussion grenade launcher (which doesn’t look much like a grenade launcher obviously, but I digress). But I digress. As I may have said previously, a good candidate for first third-party SWB accessory would be modified version of Boba Fett's blaster carbine with a shorter stock so that the figure can actually grasp it properly. Maybe also a modified belt made of a more rubbery plastic so as not to obstruct the legs so much. -Dentless helmets, unmasked headsculpts and alternate belts and armour decals for Boba Fett to represent fellow Mandalorian soldiers Tobbi Dala and Fenn Shysa (or, for those with the requisite skill with paint, Jodo Cast). 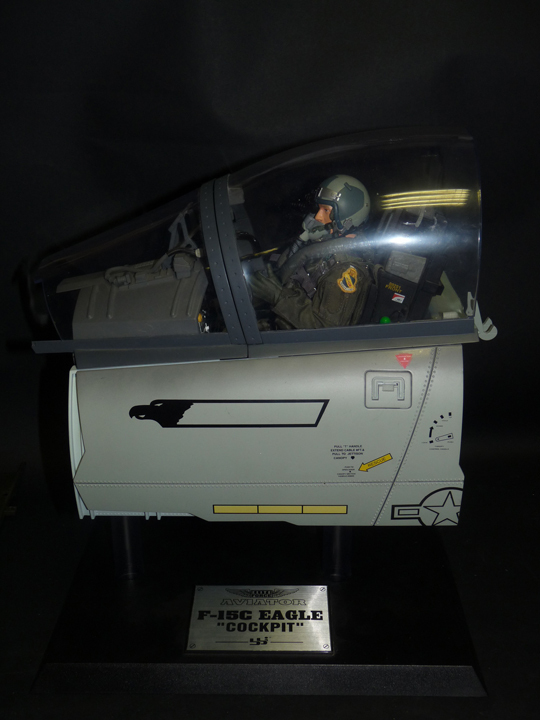 Alternate pilot heads (Maybe even a Willrow Hood head?) to fit on the Pilot Luke body would be cool.